Alipay Wallet, the mobile payments and service app of Alibaba Group, has been available for mobile payments in Taiwan and Hong Kong, and will arrive in South Korea soon, Alipay announced today. 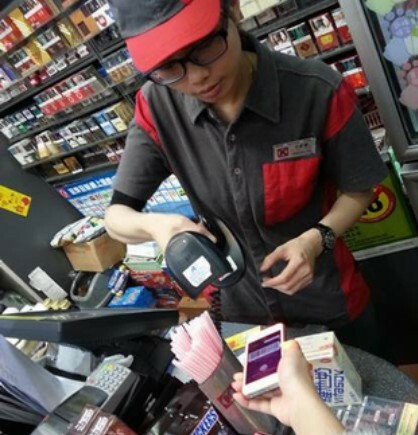 In Hong Kong, 336 OK convenience stores, 90 Bonjour cosmetics stores and 10 Giordano apparel stores have supported QRcode payments through Alipay Onsite — merchants accept payments by scanning QRcodes generated from customers’ Alipay Wallet app (as you can see below). Stores, of course, have to be equipped with the scanning device. The amounts in foreign currencies will be converted into RMB based on daily exchange rates and deducted from customers’ Alipay accounts. Department store chain Uni-Hankyu in Taipei has supported it too. More chain stores and departments stores in South Korea and other regions will be added after the coming Chinese New Year (Jan. 31, 2014). The move is mainly to make it convenient for travelers from mainland China to pay for purchases in overseas countries or regions, according to Alipay. But the company wants to do more, from travel booking to shopping tax refund, for mainland Chinese travelers as Alipay Wallet has been more than a mobile payment app since a major update in 2013. Alipay, established as an online payment service for Alibaba’s Taobao marketplace years back, has been expanding aggressively to China’s offline business world in the past year with Alipay Onsite, a payment solution that includes QR code payment and acoustic payment. When Alipay Wallet was about to release the latest update, a screenshot of an English version of the app was leaked. While most businesses in Hong Kong and Taiwan can read Chinese, versions in English or other languages must be needed in South Korea or other countries. Alibaba claimed Alipay Wallet was nearing 100 million installations in December 2013. Alipay Wallet downloads in 2013 were 1.5 times of that of all the apps by Chinese banks combined, according to the annual report on Chinese apps released by Wandoujia, the leading Chinese app distribution and search service provider.